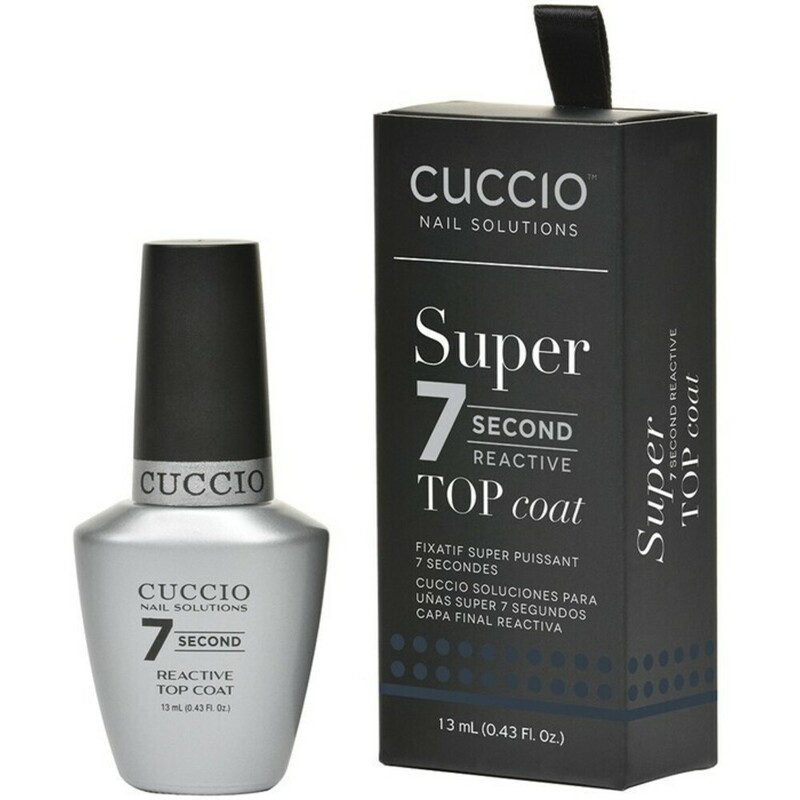 The Cuccio™ Nail Solutions Professional Super 7 Second Reactive Top Coat is a super quick drying formula that is redefining the way in which you protect your nail colour. It creates a high gloss finish with incredible long-lasting durability. It contains photo initiators and fast acting monomers that react with natural light to set-up super fast. Super 7 seals in colour by creating a coating that is second to none.